Friends of the Newcastle Arts School. 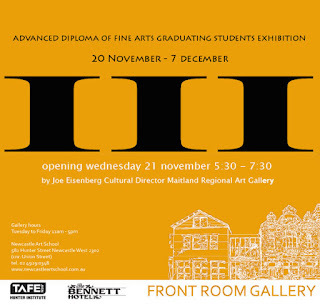 Please come to the opening of III, Advanced Diploma Fine Arts Graduating exhibition. It will also be our last exhibition in the Front Room Gallery. 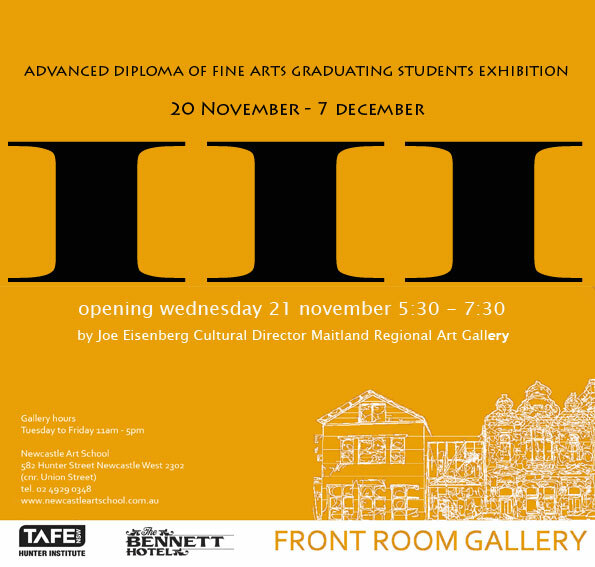 If you want to support the Newcastle Art School and these graduates, come along and celebrate.